The dual and quad core processors used in modern smartphones make the devices extremely capable, but also run extremely hot. 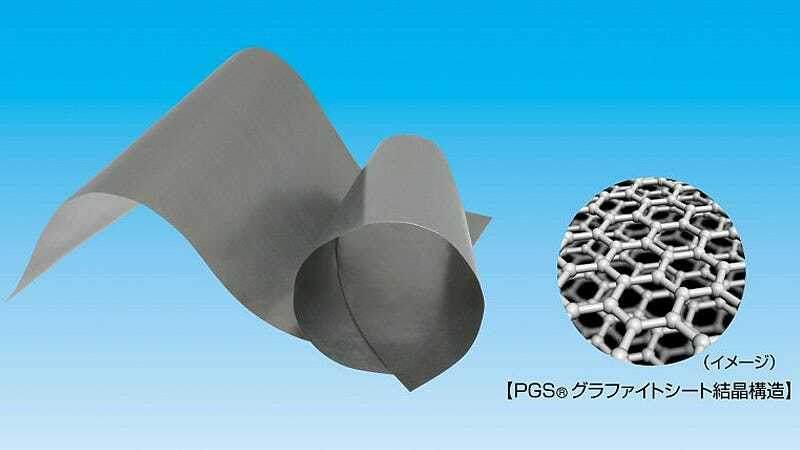 So to wrangle all that excess heat without adding too much bulk, Panasonic has managed to shrink its graphite heat shields to a mere 10μm (microns) thick. (Size comparison: A human red blood cell is 5μm across.) At one-one-hundred-thousandth of a meter, this shield is the world's thinnest. The previous version of these graphite shields measured in at a relatively husky 17μm thick. Panasonic managed to shed 7μm through an improved manufacturing process that involves a carefully controlled heat treatment. And while the material is remarkably thin, it still boasts a thermal conductivity rating—a measurement of how efficiently it's able to dissipate heat—of 1,950W/mK, roughly ten times that of aluminum.